The case involves a an Arakanese woman who was publicly humiliated by a mob for allegedly supplying food rations to Rohingya refugees. Malaysian Prime Minister Najib Razak has sent off a ship carrying tonnes of food and emergency supplies to Burma’s Rohingya Muslims. Thai navy to deploy a landing-platform ship in the Andaman Sea to provide humanitarian aid to migrants found adrift, while the US offers air support. Medics and aid workers say humanitarian supplies are fast drying up for the thousands of Kokang civilians who fled their homes to take refuge in shelters. Some 1,400 displaced villagers are sheltering in a Buddhist monastery and a church in Kansee village, but relief supplies cannot be delivered as the Burmese army has closed the roads. US Assistant Secretary for Human Rights Tom Malinowski urges Burma to address concerns about the depth and pace of political reforms. Thousands of refugees at camps in northern Kachin State are facing food shortages since the state government blocked aid deliveries at the end of October. WFP says it has cut its humanitarian aid to displaced persons in Meikhtila. 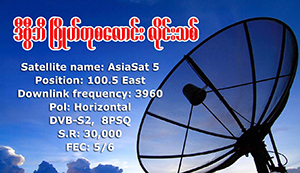 BBC Burmese reports that it will further cut rice rations by 20 percent across the country. Marking the seven anniversary of the Saffron Revolution on Saturday, Noriko Ogawa, the sister of slain Japanese photojournalist Kenji Nagai, has reiterated her call for an official investigation into his killing. Arakanese authorities complain that they were not properly informed of the OIC’s visit and again turned down the Islamic bloc’s request to establish a presence in the state. Médecins Sans Frontières Holland says it welcomes a call from the Arakan State government for it to resume its operations but remained “cautious”. The Arakan State government has invited international aid organisations — including Médecins Sans Frontières, which was dramatically expelled from the state nearly five months ago — to continue operations in the troubled state. International agency finds itself again on the receiving end following a report that it had apologised for using the word “Rohingya” and promised Arakanese authorities that it would not use the term again. At the latest round of talks to restore humanitarian access in Arakan State, an ECC member said he was against further assistance to bolster the capacity of the existing hospital in the Dar Paing camp for IDPs near Sittwe. DVB’s Aung Kyaw Zaw takes a look into two camps for internally displaced persons (IDPs) along the Burma-China border, forced to flee their homes because of conflict. Representatives from UN agencies and NGOs met with the Emergency Coordination Centre (ECC) in Sittwe today, in the second such discussion since the suspension of most humanitarian operations in Arakan State in late March. Displaced residents who fled to China earlier this month to escape renewed fighting in Kachin State are suffering from a shortage of food and aid. Children in Arakan’s IDP camps are becoming malnourished as UN aid agencies and INGOs struggle to resume operations in the violence-plagued state.